* Imagine a strong peach cocktail with a grapefruit garnish, and you’ve got the first whiff. * The aperitif vibe fades, and a really juicy and lucious peach is the forefront. * The peach sweetness introduces the flower – rose- and another with a hint of vanilla sweetening it. * At this point, maybe two hours in, the scent becomes sheer and very much a skin scent. * The base is woody with a bit of vetiver and a slight touch of sweetness. Summary: Wearing Moisseline Peche made me realize something about my skin. Vetiver scents do not work well on me, almost as a rule, but with this scent, I realize that it’s not all vetivers, but rather the stronger ones, that go caustic when they hit my skin. Softer, sheerer vetivers like the base of Mosseline Peche agree with me. That’s not to say this is a vetiver scent- it’s part of the base. The scent strikes me as a mature, fruity floral that is not overbearing. As a natural, it lasts about 4 hours on my skin, though others report much shorter wear times. Basically, expect to reapply after lunch if you wear it to the office (and yes, it is office-friendly). 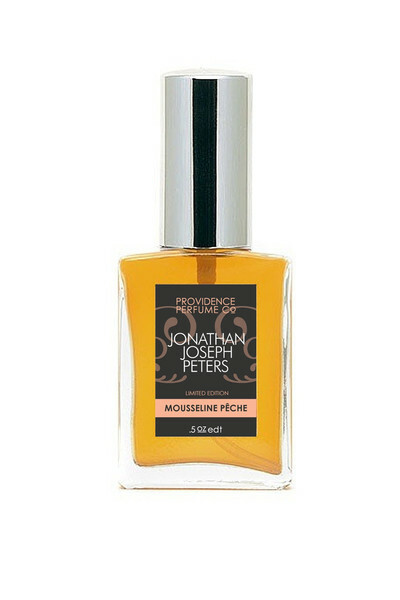 The scent is a collaboration with fashion designer Jonathan Joseph Peters (from Season 7 of Project Runway) and is inspired by silk muslin – which makes sense as it feels soft, luxurious, and sheer throughout its weartime..
Providence Perfumes are available from the Providence> Perfume Company website and Twisted Lily. Disclaimer: Sample provided by Providence Perfume. 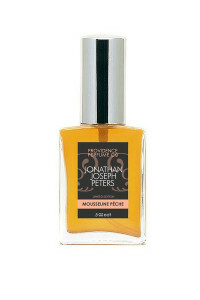 Image courtesy of Providence Perfume website. Thanks for the review of this one. I’ve often been curious about it, but each review almost seems to describe a different fragrance. Nice to have your review, which makes me feel like I could get a handle on this one.